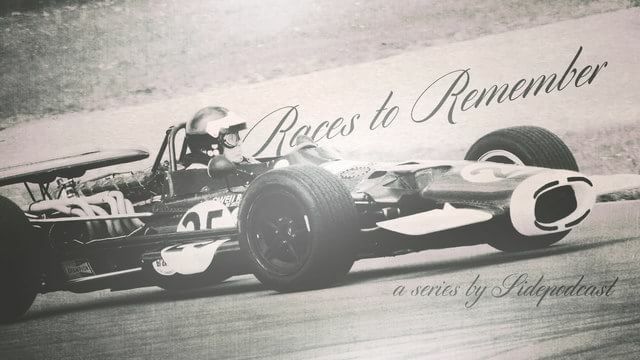 Welcome to Races to Remember, a mini series brought to you by Sidepodcast. Across the course of seven short shows, we’re looking at some of the more memorable and record-breaking races that have occurred in Formula One’s vast history. We’ve already completed five recaps, so now it’s time for the sixth and today it’s the United States Grand Prix West of 1983. The US Grand Prix was the second event of the 1983 season, taking place two weeks after the season opener in Brazil. Nelson Piquet had won the opening round for Brabham, and was thus leading the championship, with Niki Lauda and McLaren in second place. This early on in the season, however, it was all to play for. The race took place at the Long Beach circuit in California, a track that had been significantly tweaked since the drivers had last been there the previous season. The difference in tyres created a stark split in qualifying, with Michelin struggling and Goodyear finding plenty of grip around the street track. Pirelli were somewhere in between. Ferrari made the best use of qualifying, with teammates Patrick Tambay and Rene Arnoux on the front row together. Keke Rosberg and Jacques Laffite lined up on the second row in their Williams cars, whilst further back, Alan Jones qualified just outside the top ten. The 1980 champion had come out of retirement for a brief comeback with Arrows – this was his only race of the season, and he retired from it. Much further down the order, the two McLarens nestled towards the back of the grid. John Watson outqualified Niki Lauda but only for 22nd compared to 23rd place. When the race begin, Tambay manoeuvred his Ferrari into the lead, with Keke Rosberg snatching second place, although only momentarily before the Finn spun and lost a position. The retirements started early with two drivers spinning off and another succumbing to a gearbox problem. Rosberg moved back into second and mistimed an overtake for the lead, colliding with Tambay. The Ferrari was out of the race, and the Williams was knocked out shortly afterwards. Laffite moved into the lead in the second Williams, but amongst all the chaos, the two McLarens had surged through the field. Helped by superior pace and a further scattering of retirements (five mechanical issues, two driver errors, and one Alan Jones retiring due to feeling under par), the McLarens were soon putting pressure on the front runners. Where Michelin had struggled in qualifying, the rubber came to life on race day. Halfway through the race, Watson surged forward and overtook his teammate, and the pair then made their way forward and into the lead. Their dominance showed with Watson winning 27 seconds ahead of Lauda, who in turn was more than 40 seconds up on third place Arnoux. Watson finished on the podium twice more in 1983, but was disqualified from the final race for overtaking cars on the parade lap. It was his last full season in Formula One, but he made a comeback two years later at the European Grand Prix. Niki Lauda was recovering from an injured wrist, and McLaren drafted in his former teammate to replace him. Watson qualified 21st and finished 7th, just missing out on the points, and not quite matching his best finish from the 20s on the grid. That’s all for this episode of Races to Remember, thank you for listening. Did you watch that race, or remember hearing about Watson’s amazing win? Do let me know in the comments on sidepodcast.com or email me Christine@sidepodcast.com. Tomorrow is our last show of the series, already, but hopefully it’ll be a good one. Do join me then for the final episode of Races to Remember.